Prestons the Jewellers was in the Strand which connects Talbot Road to Queen Street. Blackpool gangs had connections with organised crime in London and Glasgow. Blackpool with its crowds, boardinghouses and overworked Police was a place to hide. There was a criminal infrastructure waiting to welcome criminal visitors. There were hotels, boarding houses and nightclubs. It is likely that Prestons was targeted because of this connection. The gang members drove North from London in two cars, a green Triumph 2000 and a bronze Ford Capri that had recently been stolen. The Ford Capri was to be a transfer vehicle. Frederick Arthur Sewell, 38, was a successful businesman. 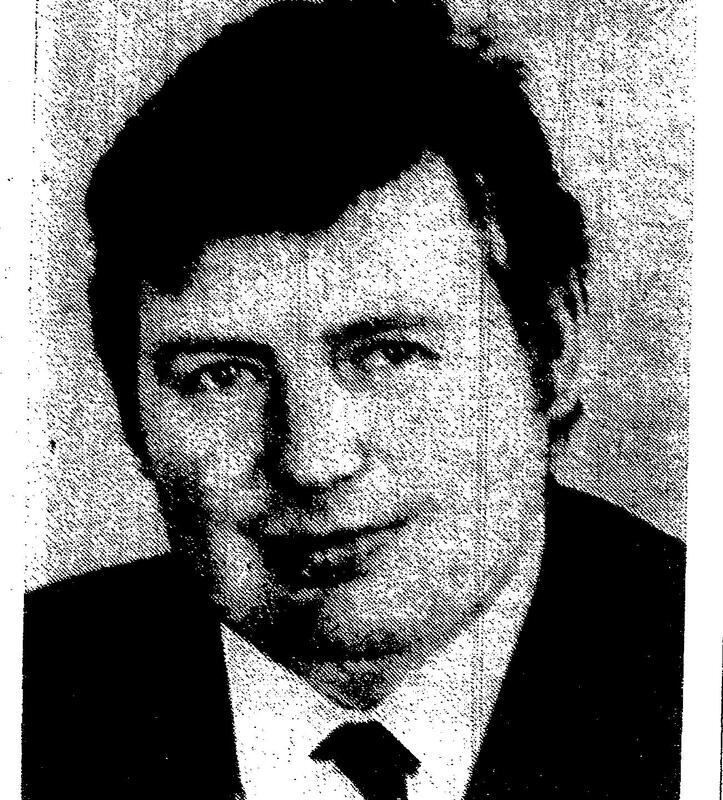 “Fat Freddy” had a car-dealing business, flats, umpteen girlfriends. He liked to present himself as a country squire, the default identity of gangsters. He loved ponies. His neighbours saw him as affable. The rest of the gang were Charlie Haynes 38, who owned a night club in King’s Cross, Johnny Spry from Streatham, Dennis Bond,43, from Clapham who had just served seven years for armed robbery, and Tommy Flannigan, 43, from Hackney. The gang had four weapons: a sawn-off single barrelled 12 bore-shotgun, a .32 Star automatic pistol and two .38 revolvers. Sewell had a large rented flat in Cocker Street where he stayed with Irene Jermain his common-law wife. They intended to get married in the Lake District. The rest of the gang found a boarding house. They studied Prestons the Jewellers. .
At 9.41 on Monday 23 August, 1971′ they burst in. Sewell was the first brandishing the shotgun. Speed and terror are the essential to a successful armed robbery. A getaway car, the Triumph, was waiting in Queens Square. 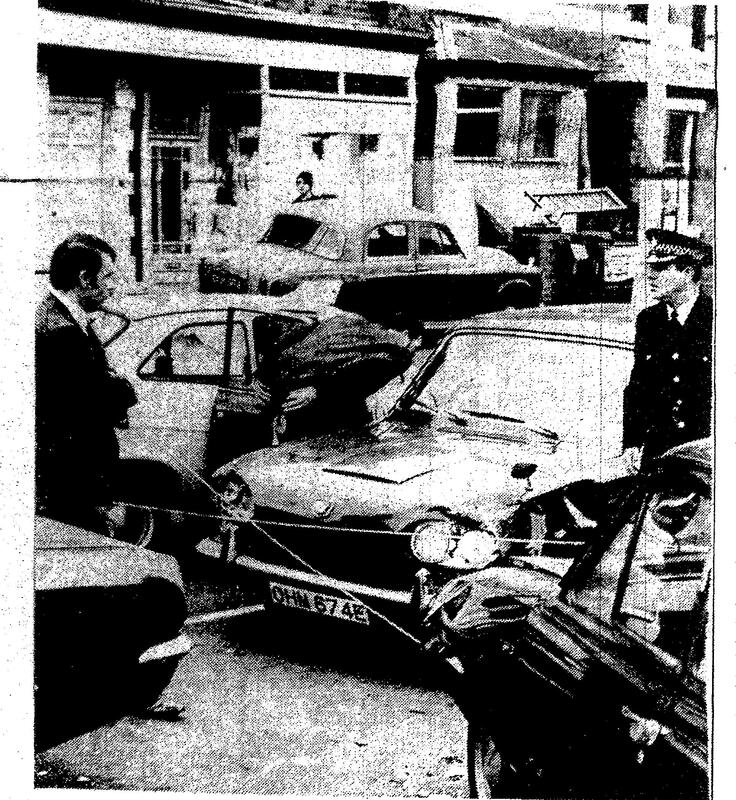 The second getaway car, the bronze Capri, was parked in the confusingly named Back Warbreck Street which is at the back of Dickson Road, close to Prestons, and out of sight of a main road. The manager of Prestons, Joseph Lammond, was invisible to the gang in a repair room. He realised what was happening, locked the door and used a silent alarm to alert the Police. The shop assistants told the gang that the door was always locked. A uniformed man came into Prestons. It was a Fireman, Ronald Gale, who had seen the gang emptying trays of jewellery. Ronald. Gale asked a shopkeeper to call the Police and entered the shop. Fred Sewell knocked him unconscious. He probably thought he was a Policeman. Sewell was the last to leave awkwardly carrying a sawn-off shotgun and a case full of jewellery. He was struggling with the door of the Triumph at Queens Square when a Panda Car driven by PC Carl Walker blocked his way. Sewell ran to the other side and managed to get into the car which had started and stopped again. Carl Walker caught the Triumph a blow with his Panda. The gang drove towards the the second escape car. They were about to transfer when Carl Walker’s Panda appeared. Back in the Triumph they reversed out of Back Warbreck Street. They were in Lord Street with Carl Walker in pursuit when they were blocked into an alley by Carl Walker’s Panda. Sewell took control of the Triumph and pushed the Panda out of the way. Now PC Ian Hampson in another Panda took up the chase. The gang drove to the second escape car in Back Warbreck Street but were again unable to transfer because they werefollowed by Ian Hampson. The gang turned onto the Promenade and headed North towards Fleetwood. Then they turned right off the promenade into Dickson Raod Egerton Road and Clevedon Road. At Clevedon Road Sewell suddenly braked. Ian Hampson braked to prevent a crash and Spry leaped out of the Triumph and shot him. Ian Hampson was shot in the chest. Both Carl Walker and Ian Hampson had radioed their movements. Ian Hampson spoke directly to Gerry Richardson. More Panda Cars and unmarked Police vehicles were approaching. When the Triumph turned into Egerton Road there were four Panda Cars. At the junction of Egerton Road and Clevedon Road the Triumph was rammed. The gang emerged from the Triumph waving weapons. Charlie Haynes fired and then he managed to merge into the crowd of onlookers and drift away. Sewell fired three times at Detective Andy Hillis. Flannigan ran along Clifford Road and was overpowered by Andy Hillis. Sewell, Spry and Bond ran down a side street chased by the inexhaustible PC Carl Walker. Sewell shot him in the groin. 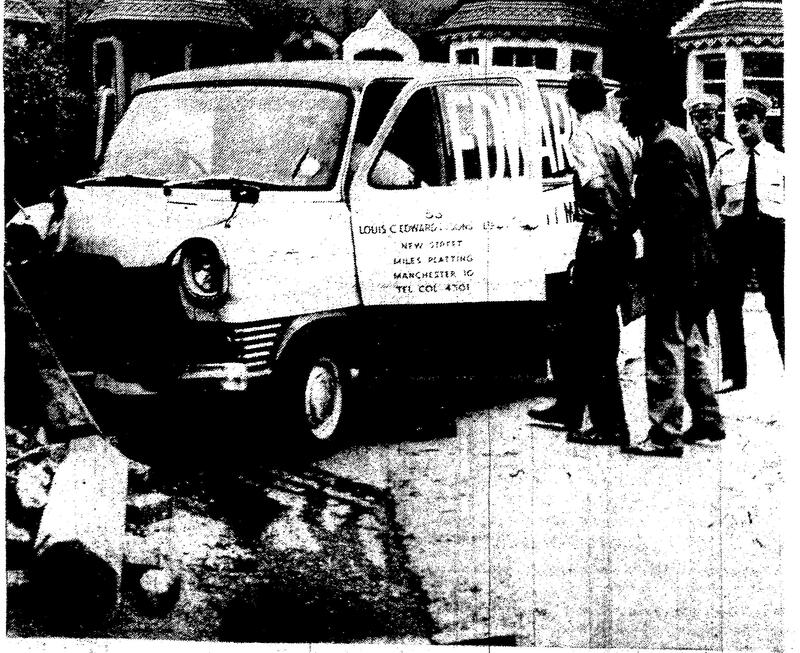 Sewell and the gang grabbed a butcher’s delivery van in Cheltenham Road. Sewell drove. Chief Inspector Gerry Richardson and his deputy inspector Gray joined in the chase. At Carshalton Road the delivery van crashed into a wall. Police tried to keep the rear door shut but Sewell emerged and Spry and Bond escaped. They ran down an alley. Garry Richardson grabbed Sewell: “Don’t be daft, don’t be silly.” Sewell fired twice. Sewell then seized a grey Morris van and drove off. Spry and Bond chased by DS Ken McKay and DC Ted Hanley. Spry pointed a weapon but it misfired. Ken McKay drove at Spry and clipped him but Spry ran off. McKay drove at them again and hit Bond hard but he also ran off. Hanley hit Bond with a broom handle breaking it over his head. McKay launched himself at Spry. Bond and Spry were arrested. Three of the gang members, Spry, Bond and Flannigan, were now in custody. Haynes and Sewell were free. Three policemen had been shot. Chief Inspector Gerry Richardson in the ambulance with Carl Walker asked if anybody else had been hurt. Ninety minutes later he died in Victoria Hospital. Sewell returned to the flat in Cocker Street. The flat is in the centre of the activity and Police and Ambulance sirens would be heard. The gang had already driven past the flat earlier as part of their attempt to escape Carl Walker. Haynes joined them. Irene drove to Haynes’ boarding house to pick up his things. Then while Sewell hid in the boot they made their way North through minor roads and then to the Lake District and to the M1 to London. 100000 people lined the streets for Gerry Richardson’s funeral at St John’s Church where he had been married fifteen years earlier. At Mrs Richardson’s request Garry Richardson was in an open coffin in full uniform. While the service took place Charles Haynes was arrested at the National Pony Championship at Stoneleigh Abbey where his daughter was competing.. The conduct of the three prisoners would be comic in other circumstances. Spry claimed to have total amnesia and have lost the ability to speak. His amnesia included. his name. Flannigan claimed he had nothing to do with the robbery and had been kidnapped by the gang. That attention of the Lancashire Police now focussed on London and 20 Lancashire Police Officers went to London to join the search for Sewell. There they encountered a different kind of Police Force. Blackpool Police had shown courage and determination in their pursuit of the Sewell gang. Three of them had been shot and one of those had died. They were not in a good mood to begin with but the Met they encountered achieved surreal levels of corruption. Harry Challoner was a war hero. In Italy he served in the SAS and escaped twice after blowing up two trains. Only two of the six men on his mission survived. On one occasion he escaped when he was awaiting execution. while beating up a West Indian suspect. In 1963 he beat up and planted a brick on a suspect during a demonstration against Queen Frederika of Greece. Forensic evidence proved that the brick had been planted.. He was suffering from paranoid schizophrenia and unable to stand trial. The medical report stated that he had been clinically insane for some time. It was not noticed at the Met. Soho became a venue for dirty book shops. The “Dirty Book Squad” sold unofficial licenses to dirty book shops. Rivals were raided. The “Dirty Book Squad” would sell confiscated stock to favoured shops. Detectives and pornographers socialised. An article in the Sunday People photographed Commander Ken Drury and his wife on holiday in Cyprus with leading pornographer Jimmy Humphreys and his wife Rusty. Commander Drury claimed that he was in Cyprus looking for Ronnie Biggs. 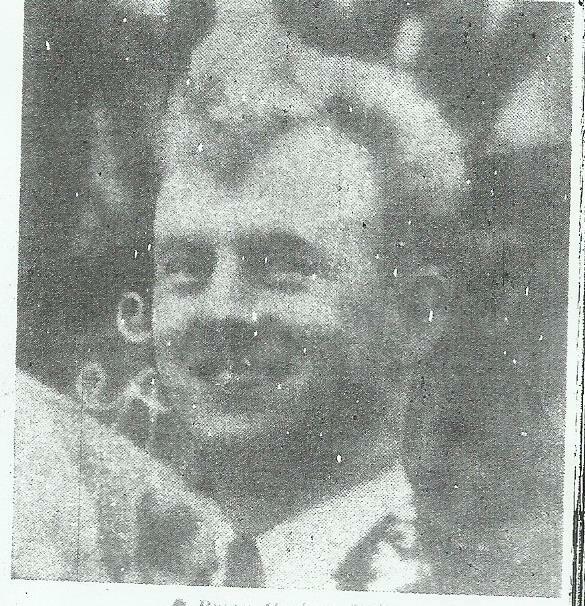 Jimmy Humphreys kept records of his payment to more than a hundred police officers including Commander Drury. 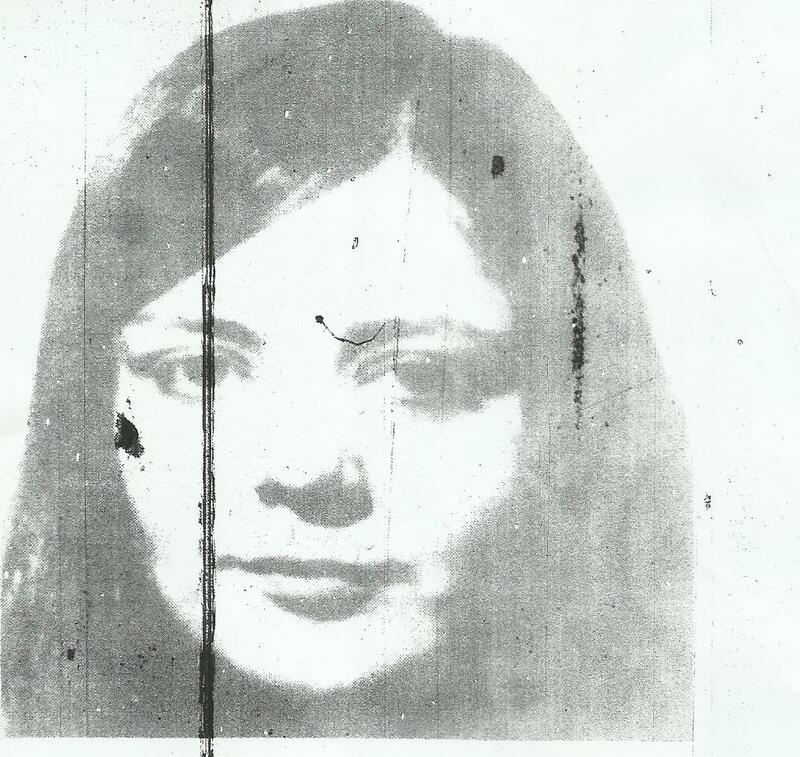 C11 was directly involved in the Sewell affair. C11 was the Met’s Criminal Intelligence Unit. In his book: “Undaunted” Jim Smith a former officer in C11 states that he photographed Sewell, Spry and others at Hatton Gardens days before the Blackpool Robbery. Of the three Commanders , two were to be imprisoned. There was a “firm within a firm.” It would benefit from crime and protect its clients. Part of the Met was a branch organised crime. Commander Wallace Vigo and Commander Ken Drury received prison sentences for corruption. Robert Mark stated that the Metropolitan CID was: “the most systematically corrupt organisation in the City of London.” “Operation Countryman” was launched following intelligence that the Met were involved in three armed robberies including one where a security guard was killed. No progress was made because of non-cooperation by the Met. Corrupt officers were allowed to resign. In “Undaunted” Jim Smith says that the Hatton Street Gang including Sewell were allowed to carry on a job “up North.” Either Jim Smith is misremembering or there is something unstated. How could anybody know that the operation was “up North.”? How did the authorities know about the Hatton Garden meetings so that Jim Smith could photograph them? There was probably an informant. Lancashire Police quickly realised what they were dealing with and this accounts for the hardly disguised loathing of the Lancashire Police for the Met. The Sewell problem was resolved when he was arrested after 45 days in hiding in Holloway. He was growing a beard. He was probably betrayed by criminals who were fed up with intense Police activity. He was taken back to Blackpool and with the other gang members tried in Manchester. Sewell sold all his business interests and commenced property dealing. He made more than a million pounds. He was released in 2001. Heroes should be good, villains bad. Consider Harry Challoner. War hero or bully? He was both. The experiences that he had in Italy may have changed him. Or maybe not… maybe he was just that way. There are heroes and villains, they are often the same people. Sewell is a “noir” villain. Phlegmatic, tough, resourceful. His escape in Blackpool might in other circumstances be the act of a hero,an escaping prisoner of war like Harry Challoner in Italy. We do not have words to describe admirable qualities in the service of bad goals. I once heard a suicide bomber described as “cowardly”. Sewell was the same age as Gerry Richardson. They were both successful, ambitious and intelligent. They were natural leaders. They were determined and had the confidence of leaders. Fate and chance put them in a situation. Sewell carried weapons and killed in the hope of making money and escaping prison. A curious thing about Sewell is that he was 38 and had no serious criminal record. It is tempting to think of the Met as grotesque caricatures dreamed up by Joe Orton on horse tranquillisers, in fact Harry Challoner was the model for the detective in Joe Orton’s “Loot.” But their conduct may have cost Gerry Richardson his life. They let an armed robbery go ahead. They were slow to respond. Sewell visited his home twice after the shooting in Blackpool. The Metropolitan Police knew his address. Perhaps they wanted to conceal that they had some prior knowledge. The courage of the unarmed Police pursuing the gang is sometimes overlooked. They displayed suicidal determination. PC Carl Walker and PC Ian Hampson were responsible for the success of the pursuit. 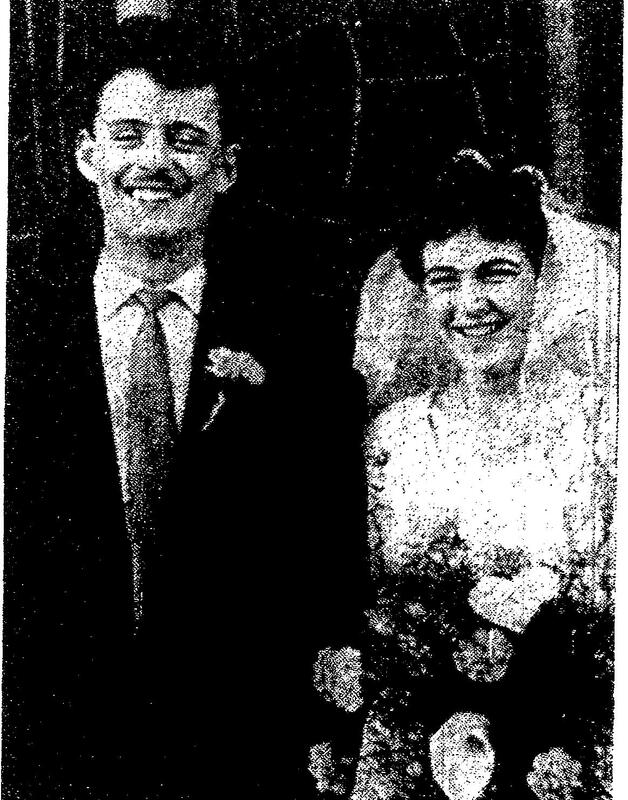 It is a relief to admire Gerry Richardson and his wife Maureen Richardson. Maureen Richardson has been understated in her dignity and her comments are few and to the point. I was struck when she said after one of the gang was sentenced: “I saw Mrs Spry at the trial yesterday. I didn’t speak to her. But I knew it was a bad day for her as it was for me. ” Grief is a lifelong sentence. Gerry Richardson was an athlete, a supporter of charities, resolute and concerned for his colleagues. He was good-looking and talented. We are reminded of earlier times: of “Boys Own” heroes before the times when heroes were flawed. He was the highest ranking officer to be murdered in the line of duty for some time. The previous case had been in another seaside town, Brighton, when the Chief Constable was murdered by a suspect he was questioning. That was in 1844. If there was a “Blackpool Connection” that fed intelligence to the Sewell gang it was never found. The events in Blackpool took fifteen minutes and that time is forty three years past. Nearly three years have passed for every minute. A source for the shenanigans in the Met is “Undaunted” by Jim Smith which recounts the author’s involvement with C11 and his involvement with the Met’s surveillance of Sewell prior to the murder. Many thanks for all these and especial thanks to Local and Family History which is invaluable.